Ahmadiyya Muslim Youth went to Athlone town this week to help local authorities and people to prevent flooding in the town. A group of 18 volunteers from Dublin, Galway, Kildare, Athlone, and Longford gathered in Athlone on Sunday, December 13, to help people and authorities in preventing floodwater breaking over the banks of Shannon. Members of the group helped the local council in placing sandbags where advised and to clean where possible. President of Ahmadiyya Muslim Youth, Dr Mamoon Rashid, said that he was there “because of what his religion teaches him. The Ahmadiyya Muslim community believes that it is their duty to help people in distress. The Ahmadiyya message of love for all, hatred for none, brought them to Athlone," he said. 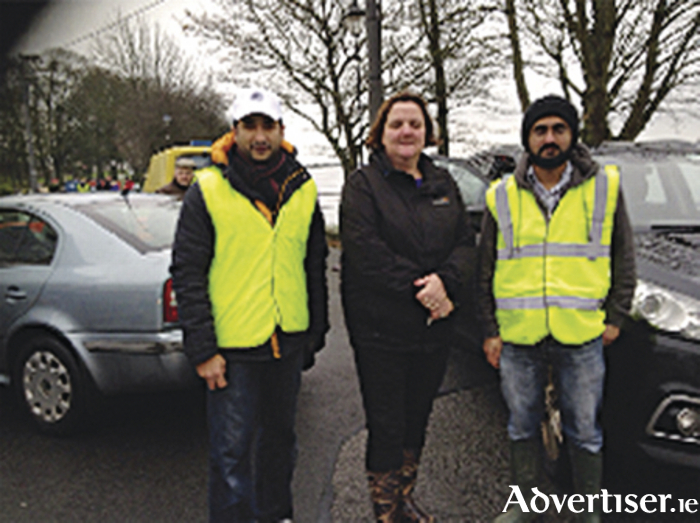 "Ahmadiyya Muslim Youth offer their help and support to local authorities in providing volunteers for helping in relief for victims of flooding. We are aware that many have been affected just before Christmas festivities, and therefore we will be delighted to help."